SHIPS - 25 ships that push the limits of imagination with firsts-at-seas and never seen before features. 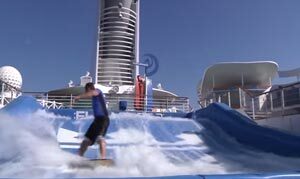 A giant leap forward where groundbreaking innovations and technology is concerned, Royal Caribbean has pushed the limits with the introduction of the Quantum class of ships. 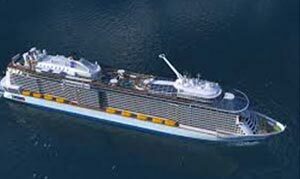 The Quantum of the Seas scheduled to be launched in November 2014, will have novelties like RipCord by iFly, the first skydiving experience at sea, as also the North Star, a jewel-shaped, glass capsule with a spectacular ocean view. Also on board will be never- seen-before venues: the Seaplex and Two70° that morph from day to night. Anthem of the Seas will soon follow suit and continue to take innovations to new heights. 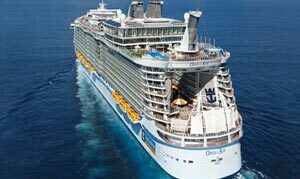 Royal Caribbean sure knows how to WOW cruisers! With the introduction of the Oasis class of ships, Royal Caribbean showed the cruise world what innovation and imagination at sea was all about. They built the largest ships in the world, the Oasis and Allure of the Seas that are floating cities and have seven distinct neighborhoods. 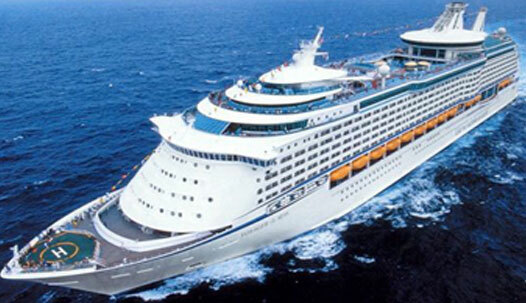 To give you an idea of the largeness of these ships, the Oasis of the Seas, it is four times the size of the Titanic, and larger than more than three football fields! A first at sea experience is the Aqua Theater, a Central park with real plants and animals, Broadway musicals like Chicago and Hairspray, designer stores and your favorite Starbucks at sea! Activities include a zip line and more. 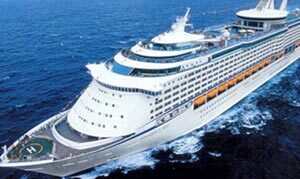 No wonder then that they are two of the most awe-inspiring – and award-winning – cruise ships. 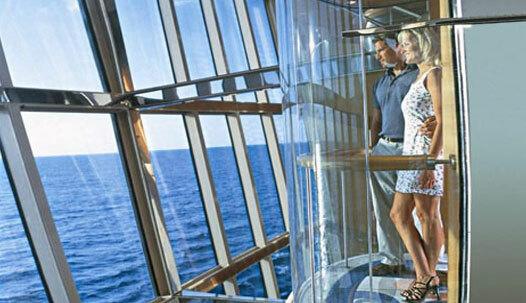 With Freedom of the Seas Royal Caribbean has let loose on their imagination. For the adventure enthusiast, a Rock Climbing Wall with eleven routes up and a central spire you can swing around was introduced, and if you wanted to ride the surf, a spectacular FlowRider surf simulator where you can ride the surf high above sea level. And if that's not all, and a boxing ring where you can practices your moves and swings. 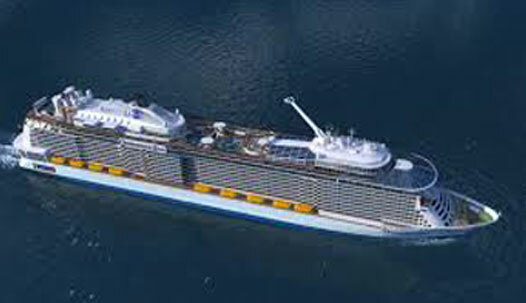 Freedom of the Seas also has cantilevered whirlpools stretching out over the ocean. Imagine that! for families the DreamWorks experience is unforgettable, and a chance to get a photo with the characters including Shrek, Fiona and Po (Kung Fu Panda)is sure to please the kids! Guests love the lineup of signature innovations on the Voyager class of ships. Whether it's rock wall that soars 200 feet above the ocean, or the first ever ice skating rink at sea there is a plethora of activities for the adventure seeker on board these ships. for those who want a more relaxed experience, the Royal Promenade with its Main Street is the perfect place for people watching or sipping a cup of coffee. 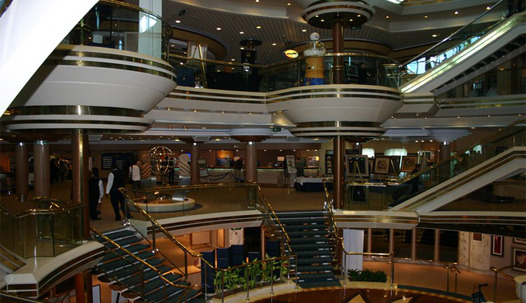 Shop for branded goods at the stores or just relax and take in the sights on the ship. You'll never be at a loss for a new onboard experience. 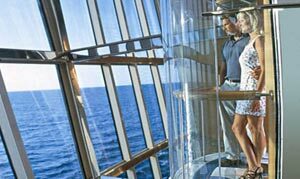 The Radiance class of ships were built to let the focus be the sights of the sea, so every ship has soaring glass floor to ceiling windows, loads of sunlit spaces, and even glass elevators facing the expansive ocean! 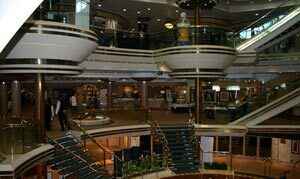 With the majority of staterooms having their own private balcony, a cruise on board one of these ships is one of space and more space! Add to that an adults-only Solarium pool surrounded by lush tropical foliage. 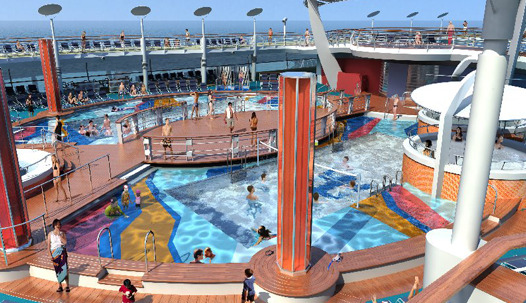 Try your hand at mini golf, rock climbing, or a round of pool on the first self-leveling pools tables at sea. 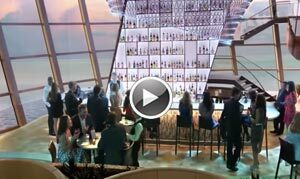 on the newly refurbished and renovated Radiance of the Seas® and Serenade of the Seas®, enjoy new dining and drink venues, an outdoor movie screen, a nursery for the tiny tots and more new features. The Vision-class ships can take your curiosity just about anywhere. 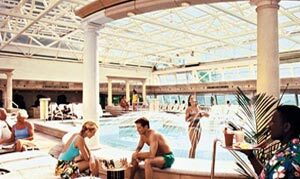 You can choose to relax and spend an afternoon by the pool at the adults-only Solarium, complete with a glass retractable roof. 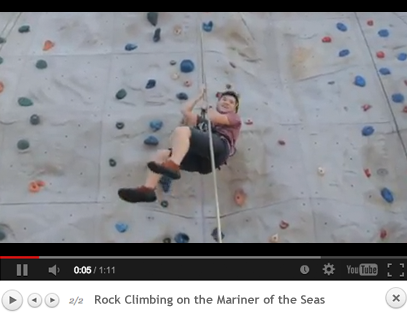 Or look for adventure at the signature rock-climbing wall, and the practice your putt at the mini golf course. As evening comes, enjoy fine dining and a Broadway-style show at the theater. And after dinner, watch a movie under the stars on an outdoor screen. 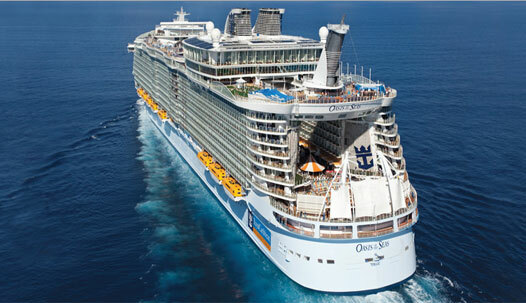 Plenty of options available here, as on all other Royal Caribbean ships. Even though the Sovereign class was designed for short hauls, there is no dearth of activities and things to do on board. Choose from the VitalitySM Spa and state-of-the-art fitness center,try your luck at the he Casino RoyaleÂ® , or watch a Broadway-style show in the evening. 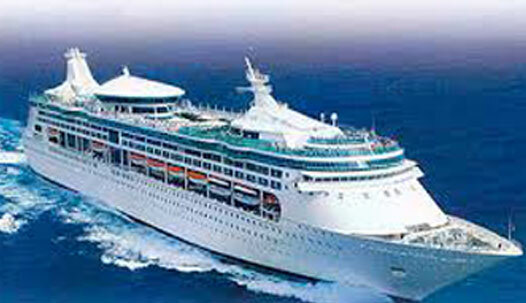 Each day promises both relaxation and excitement when you are on board the Majesty of the SeasÂ®. For the active, the signature rock-climbing wall and the basketball court will provide a thrill, for the laid back, the whirlpools and pools are perfect places to relax. 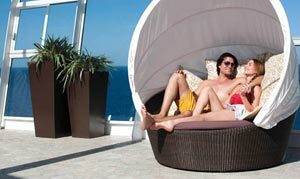 When time is short, there's no better way to treat yourself to the Royal Caribbean cruise experience.